Should You Outsource Your EMS Billing? In this post, we'll investigate the benefits of outsourcing your EMS Billing and Collections and the superior value that AIM Billing Services provides. But first, let’s review the factors that a prospective EMS Billing Services user must evaluate. Is an EMS Billing Service Right For You? Do you have a hard time finding and keeping qualified EMS billers you can trust? Are you looking for Billing Services led by an experienced and qualified billing staff? Is having a tried and true EMS Billing Service backed by over 15 years of industry experience utilizing the AIM System important to you? 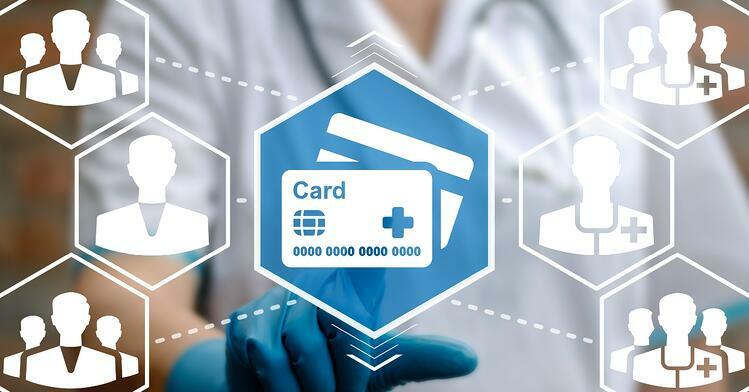 Would you like to receive payments in half the time with electronic ems billing to Medicare, Medicaid, commercial health insurances, auto insurances, facility contracts and private pays? Do you want to alleviate the frustration of constant follow up and delays related to denials, appeals and short payments? Would you like to receive payments in half the time with electronic billing to Medicare, Medicaid, commercial health insurances, auto insurances, facility contracts and private pays? Do you have a hard time finding and keeping qualified EMS billers you can trust? Is staying current and in compliance with all state, federal and payor requirements and reimbursement regulations important to you? Are you looking for abbreviated start-up and training periods? Are you still doing all your patient care reporting on paper, by hand? Are you dissatisfied with or are you outgrowing your current information management solution? Do you want predictable and manageable costs based on actual collected receivables instead of large up-front costs or monthly subscription fees? Is 24/7 access to your data and billing software information from any computer on any internet connection important to you? Would you like to avoid purchasing costly hardware and network components? Would you like to avoid substantial personnel costs required to install, maintain, and support a complex IT network environment? Does the idea of having all software updates, maintenance, support, and data back-ups automatically performed for you appeal to you? Does shifting responsibility for network and data security to an EMS industry expert make sense to you? If you answered “Yes” to many of the above questions, an EMS Billing Service may be the right fit for you. And AIM Billing Services has just the right solution for your EMS Billing Service needs. Do you want predictable and manageable costs based on actual collected receivables instead of large up-front costs or monthly subscription fees? Here is how the AIM EMS Billing Services solution works. You enter into an annual contract with AIM Billing Services to handle your billing and collection matters. The expert trainers and support staff from AIM Billing Services provide the training and support to get and keep your new AIM System EMS billing software up and running. You will have access to all the support you need from the many experienced EMS and IT professionals behind AIM Billing Services. You send us the necessary supporting call information, either by paper, electronically, or ideally, via the fully automated and integrated AIM System Online ePCR Software solution that we include at no cost to you. Once all the required call information is transmitted to us, our expert EMS Billing Specialists take it from there. We expedite the submission of claims, electronically when supported by the payors, including Medicare and Medicaid and other commercial insurance providers. We do all of the claims monitoring and follow-up including handling denials and appeals, to ensure prompt payment to your EMS ambulance business. In exchange, our fees are based on a modest percentage of actual payment receipts. We maintain and support all EMS billing software updates, security solutions, and data back-ups, and maintain compliance with the latest HIPAA and reimbursement regulations. Because the software and data are stored on our site, on our network, and on our servers, you never need to worry about control or maintenance of your IT environment. The AIM System Online Software and your patient data are accessible any time from any computer via any internet connection. You send us the necessary supporting call information, either by paper, electronically, or ideally, via the fully automated and integrated AIM System Online ePCR Software solution that we include at no cost to you. We do all of the claims monitoring and follow-up including handling denials and appeals, to ensure prompt payment to your EMS business. AIM Billing Services provides complete on-demand access to all of your patient accounts, permitting you to review and forecast accounts receivable, and to compile and print reports on patient accounts, claim status, and financial performance. Included among the many types of reports available are patient, attendant, call, and ambulance statistics; and status reports on trips, bills, pending bills, patient accounts, collections, electronic claims, and accounting. The AIM EMS Billing Services solution allows you to direct your limited resources to running calls and caring for patients, not complex IT system purchase, ownership, and maintenance. All you need are PCs and an internet connection. We maintain everything else for you. Our certified coders and Billing Specialists keep you current and in full compliance with all relevant regulations, guidelines and requirements, saving you the worry and expense of monitoring your own compliance. The AIM Billing Services solution gives you 24/7 access, full security, complete support from the experienced EMS experts behind the AIM System, and relieves you of the burden of in-house billing and collections while improving billing turnaround times and cash flow. But most of all, AIM EMS Billing Services brings you peace of mind. All at an affordable and predictable cost. AIM Billing Services brings order, reliability, and savings to your EMS provider business and your bottom line. You will reduce costs, and improve collection rates and your cash flow by entrusting your billing process to us. AIM Billing Services provides complete ondemand access to all of your patient accounts, permitting you to review and forecast accounts receivable, and to compile and print reports on patient accounts, claim status and financial performance. … most of all, AIM Billing Services brings you peace of mind… at an affordable and predictable cost. Eliminate the burdens of in-house billing and collections and shorten payment turnaround time. AIM Billing Services is uniquely positioned to deliver Billing Service solutions to EMS/Ambulance Service providers. With over 15 years of successful service to the EMS industry, our expert Billing Specialists increase your collection rates and shorten payment turnaround times, resulting in better cash flow while eliminating the burdens of in-house billing and collections. Don’t put it off. Take the first step to improve your cash flow and your bottom line now, and let our AIM System billing software and services experts find the right EMS information management and billing solution for you. To discover what AIM Billing Services can do for your business, call 800.726.4690, email us at sales@ram-software.com, or learn more about the AIM Advantage.